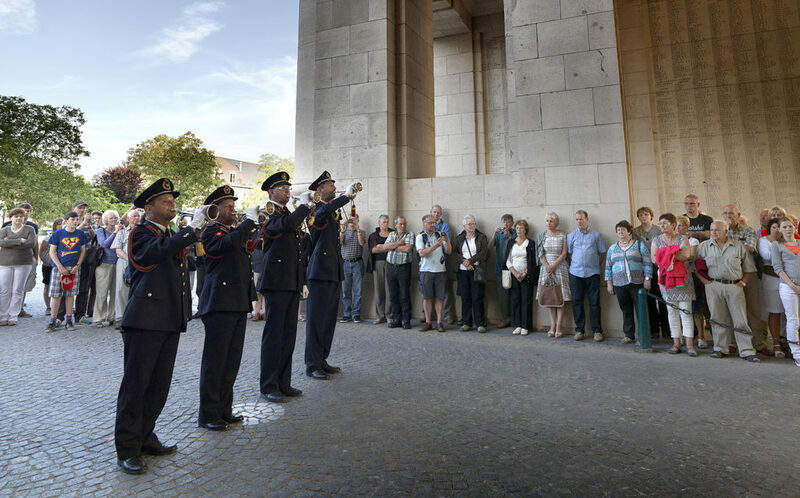 Every night at 8.00pm (20:00 hours) a moving ceremony takes place under the Menin Gate in Ieper – Ypres. 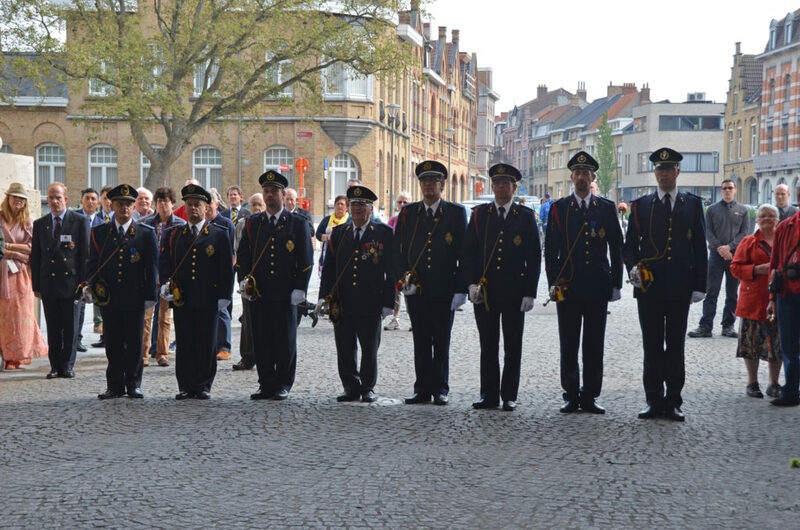 The Last Post Ceremony has become part of the daily life in Ieper (Ypres) and the local people are proud of this simple but moving tribute to the courage and self-sacrifice of those who fell in defence of their town. 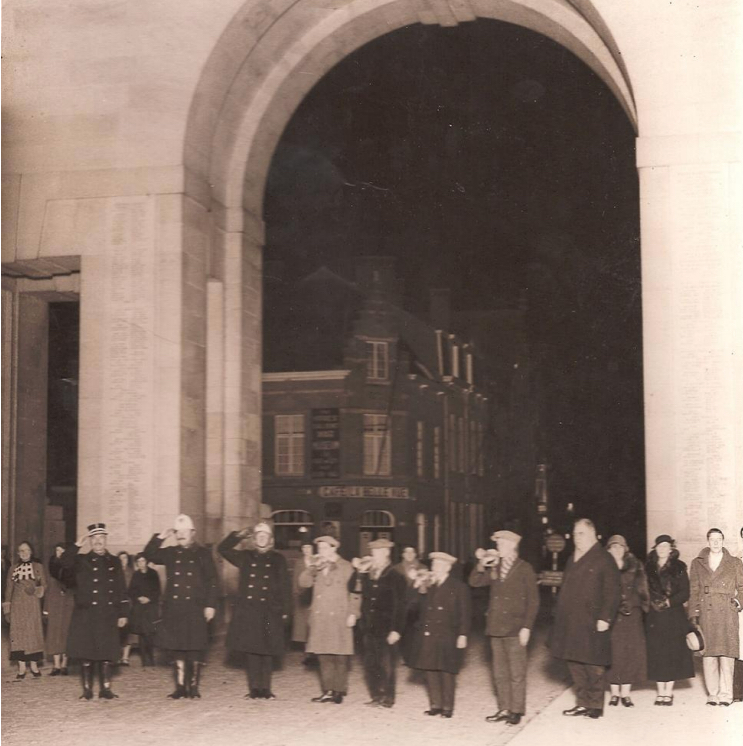 In 1928, a year after the inauguration of the Menin Gate Memorial, a number of prominent citizens in Ypres decided that some way should be found to express the gratitude of the Belgian nation towards those who had died for its freedom and independence. 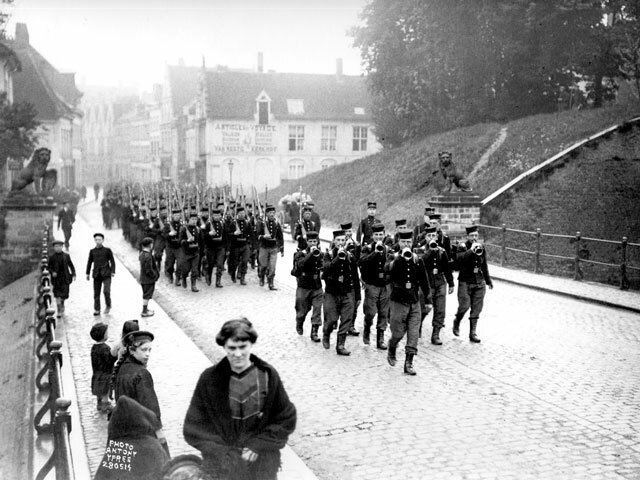 The idea of the daily sounding of the Last Post – the traditional salute to the fallen warrior – was that of the Superintendant of the Ypres Police, Mr P Vandenbraambussche. 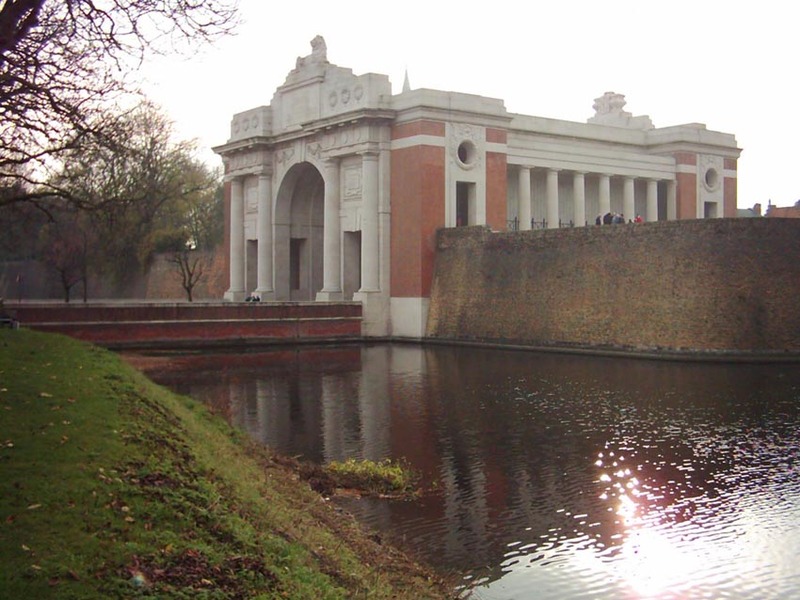 The Menin Gate Memorial on the east side of Ypres was thought to be the most appropriate location for the ceremony. 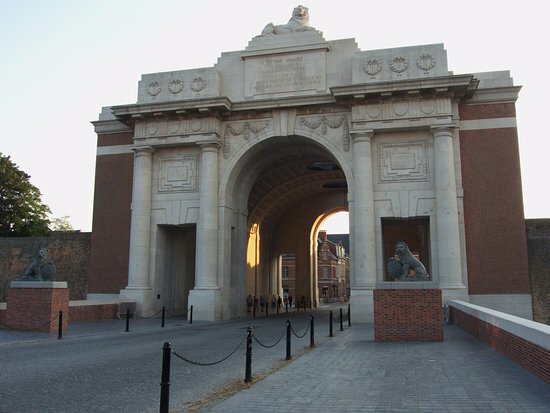 Originally this was the location of the old city gate leading to the Ypres Salient battlefields and The Menin Road, through which so many British and Commonwealth troops had passed on their way to the Allied front line. The privilege of playing Last Post was given to buglers of the local volunteer Fire Brigade. The first sounding of Last Post took place on 1 July 1928 and a daily ceremony was carried on for about four months. The ceremony was reinstated in the spring of 1929 and the Last Post Committee (now called the Last Post Association) was established. Four silver bugles were donated to the Last Post Committee by the Brussels and Antwerp Branches of the Royal British Legion. When the Last Post returned to Ieper (Ypres) after the Second World War the Brookwood Last Post Association (under Colonel McKay) continued, until recent years, to sound the Last Post at Brookwood Military Cemetery on the first Sunday of the month. The Last Post Association is responsible for the arrangements and sounding of “Last Post” at the daily ceremony at the Menin Gate Memorial. This entry was posted on Friday, October 26th, 2018 at 8:27 am	and is filed under Bugle Stories, Buglers Through History, Getting Started on the Bugle, History of Taps, History of the Bugle. You can follow any responses to this entry through the RSS 2.0 feed. You can leave a response, or trackback from your own site.